Ireland have won the Six Nations championship after a lacklustre England succumbed 22-16 to an improved French side at the Stade de France. Eddie Jones required tries but all he got was three-pointers in the first half as the teams traded three penalties apiece. Maxime Machenaud kicked all of Les Bleus’ points while Owen Farrell and Elliot Daly shared out the Red Rose’s before the interval. It was a poor performance from England in the opening period and they continued to underwhelm after the break. Jacques Brunel’s men duly punished their ill-discipline and inability to get across the gainline as a penalty try and another Machenaud effort off moved them in front. The away team hit back via Jonny May but it wasn’t enough as Lionel Beauxis scored a late penalty in a frantic finish. With Ireland’s result earlier moving them 10 points clear of the Red Rose, the visitors needed a quick start and they dominated possession and territory. Chances were few and far between, however, and they had to make do with the accurate kicking of Farrell and Daly to accrue their points. The hosts conceded penalties at will in the opening stages, allowing England to go 6-0 ahead via their centre and returning winger, who was on target with a long-range effort. France soon took charge of the breakdown battle, though, and reduced the arrears through Machenaud before Farrell regained the away side’s six-point buffer. England needed a spark to get them going but, as they were against Scotland, Jones’ men lacked direction and intensity. In fact, the hosts arguably looked more dangerous with ball in hand and deservedly levelled proceedings at the break, with Machenaud adding a brace of three-pointers. Nevertheless, it was hardly a match to inspire and the performances of both sides were symptomatic of their respective campaigns. Those frustrations continued into the second half with creativity at a minimum, but France finally found an opening. With a penalty advantage, Francois Trinh-Duc kicked out to the left where Benjamin Fall gathered and was tackled high by Anthony Watson. Jaco Peyper, in consultation with the television match official, correctly awarded a penalty try and sent the full-back to the sin-bin. 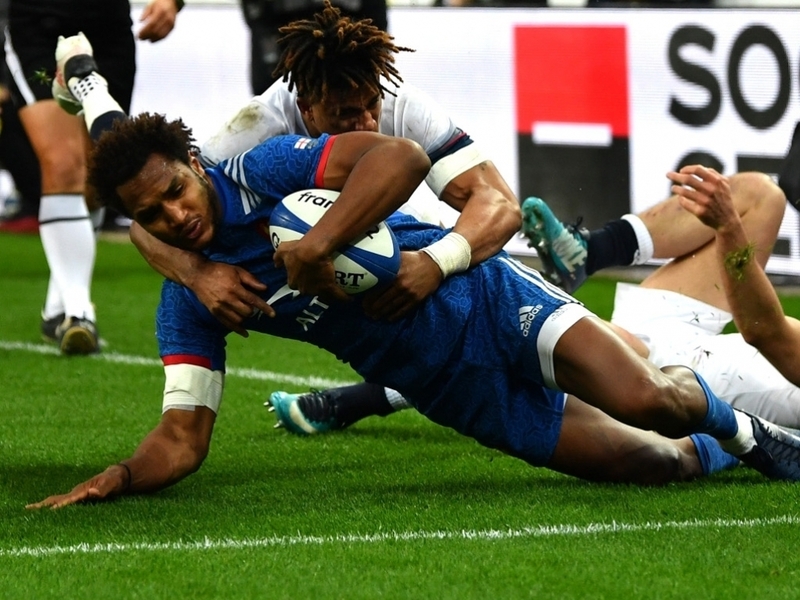 All of a sudden, Les Bleus had the momentum and produced another opportunity from an England mistake – their umpteenth of the match – but they butchered the chance and the visitors escaped. Unperturbed, a far more confident French outfit merely went again and earned a fourth three-point chance, which Machenaud duly kicked to extend their buffer. Entering the last 10 minutes, Jones’ men looked out of the contest but, whether through tiredness or nerves, holes began to appear in the hosts’ defence and May gave the English hope. They continued to press, despite a Beauxis penalty, but it was not enough as France deservedly came away with the victory.